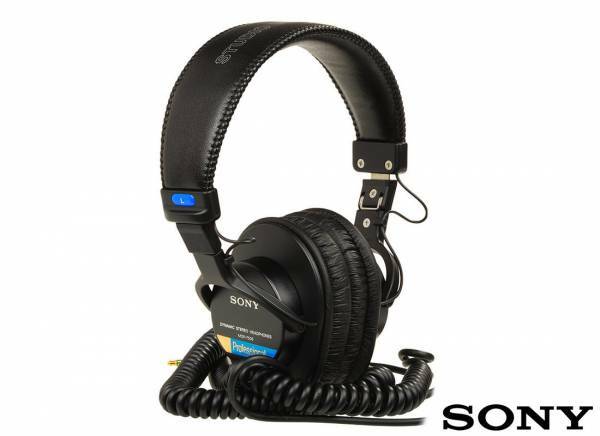 Informazione prodotto "Sony MDR 7506"
The Sony MDR 7506 is a headphone with a closed, dynamic design and an amazing sound reproduction. This professional stereo headphone is ideal for sound monitoring in recording studios, radio, film production, video, electronic news gathering - and virtually any application where high quality sound is required. It offers a practical range of choices for everyone from the casual user to the studio pro. These pro-quality headphones let you hear it all. Premium 40mm drivers reproduce every musical nuance. Closed-ear design gives a tight bass response, practically eliminates external noise, and snuggles over the ears for hours of comfort. Frequency response is a flat 10Hz to 20kHz so you accurately hear what's being recorded. Gold-plated connectors prevent rust and corrosion, and a UniMatch plug is provided for both 1/4" and 1/8" jacks. The MDR 7506 comes with a soft carrying case and a 1/4-inch adapter. If you are looking for an exceptional sound with rich bass, clear mid-range and extended highs, the MDR 7506 by Sony would be the right choice. Sii il primo a scrivere una recensione per: "Sony MDR 7506"